Mortgage lender: A lender is an individual or an institution/organization that lends a definitive sum of money on the basis of defined conditions. These conditions usually include a specified interest rate. A term until which the money must be paid back and some other details in some particular cases. A mortgage is a type of loan that is received by the owner of the property by putting the property as collateral until the loan is paid back. The lender makes an agreement with the borrower. The borrower receives cash up front that is within the limits of the value of the property and within the borrower’s resources of income to pay it back within the given time. These payments are then made monthly till a set time span when it’s fully paid back. A mortgage lender is a person or an institution that loans money according to the worth of the real estate mortgaged with a certain condition about the interest and a fixed date till which it has to be paid back. 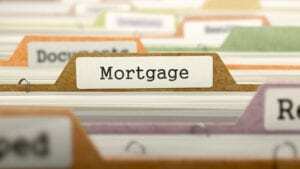 Cases regarding mortgages. These payments have different interest rates depending upon the mortgage lender and the conditions in which the money was loaned. There are tons of institutions that offer mortgage loans and act as mortgage lenders. These institutions usually have banks and less frequently mortgage brokers. All of them have different conditions, details and terms on which the loan is given so it’s better to research first which mortgage lender might suit you the best. In the US, the Federal Housing Administration (FHA) operates as the body that offers mortgage insurance to FHA approved mortgage lenders. This also encourages more people and institutions to become lenders as FHA insures their mortgage amounts and in any case of the mortgaged party not repaying. The FHA provides the lender with a specified claim amount. These FHA approved mortgage lenders have to meet a specific criteria regarding interest rate and other terms on which the loan is given. The FHA was formed by the Government to ensure that mortgage lenders are secure and people along with institutions can be encouraged to form such businesses without thinking too much about loses and scams. It was formed during the Great depression in 1934 alongside the Federal Savings and Loan Insurance Corporation (FSLIC). 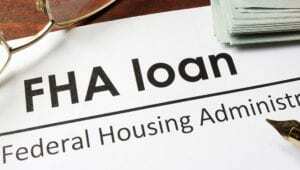 The FHA formed some terms for all loans that go through the FHA. The money paid by a real estate owner to the FHA as part of the FHA mortgage program is known as the mortgage insurance premium (MIP). This mortgage insurance is an insurance policy that secures the money of the lender in the case of the borrower defaulting or not paying back. In case of borrower defaulting, the FHA pays a definitive sum of money to the lender. Since 2018, for all loan terms that have a loan to value (LTV) ratio greater than 90%. The annual Mortgage insurance premium will be collected till the end of the term of the loan or 30 years, whichever comes first. In cases of LTV ratio less than 90% or equal to 90%. Borrowers will have to pay MIP until the end of the term of the loan or 11 years, whichever comes first. Also, a fixed percentage of 1.75 must be paid by the borrowers, regardless of what the LTV is. Just like almost every state in the US, one needs a mortgage loan originator license in Florida to start mortgage operations. A mortgage broker is a person who connects the mortgage lenders and the mortgage borrowers and oversees all the legal and other operations. In some cases, the mortgage broker is the mortgage lender as well. A mortgage lender is also known as mortgage loan originator. Here we will talk about how to obtain the mortgage loan originator license in Florida. Complete the state mortgage loan originator license application through the Nationwide Mortgage Licensing System and Registry (NMLS). You will obtain a unique ID number from NMLS with no cost. Creating an account with the NMLS only requires a few minutes and after your account is created. You will get your Unique Identification Number. The 20 hour Florida SAFE Comprehensive Course is mandatory for anybody who wants to obtain a mortgage loan originator license. This was made mandatory in the 2008 SAFE act. A lot of online education providers provide this course. The Unique ID number obtained in the first step is used here to gain completion credit. To obtain mortgage loan originator license. You need to take and pass the SAFE act national test with Uniform State Test (UST). A minimum score of 75% or more is required to pass this test. It’s recommended to take the test within 10 days after the completion of the 20 hour SAFE course. To enroll yourself for the test, you have to make a “TEST ENROLLMENT” on the NMLS website and pay the $110 for the test with Uniform State Test (UST) upon your enrollment. After enrolling, you can schedule your tests. The tests are taken at Prometric Training Centers and their centers are located throughout Florida at different locations and across the country as well. After you have completed the first three steps, it’s time to submit license application. Submitting the MU4 application: The applicants must submit “Uniform Individual Mortgage License/Registration and Consent Form” which is known as the MU4 application on the NMLS website. After submitting the MU4 application, you have to pay a $195 application fee which is non-refundable. A $60 NMLS processing fee and a $20 Mortgage Guaranty Trust Fund fee when you apply for the license. After that, a credit report is required in fulfilling step 4. You must authorize a credit report along the submission of your MU4 application. Cost = $15. After that, you have to go through a FBI Criminal Background Check known as CBC. For this, you will have to have your fingerprints scanned electronically at an NMLS authorized fingerprint vendor of your choice for the criminal check. The cost of the Criminal Background Check is $36.25. Additionally, if you are applying for MLO License in Florida. You must also have your fingerprints scanned at a Florida Department of Law Enforcement (FDLE) office. The cost of this is $33. Check your application status for updates. During the process of your license approval. You can check out the status of your application or your Criminal Background Check. You may check the status of your MU4 application as well as it processes. If any information is still missing on any application, the state regulator will notify you. Every time any status is generated in NMLS, you will get an Email telling about the status change. 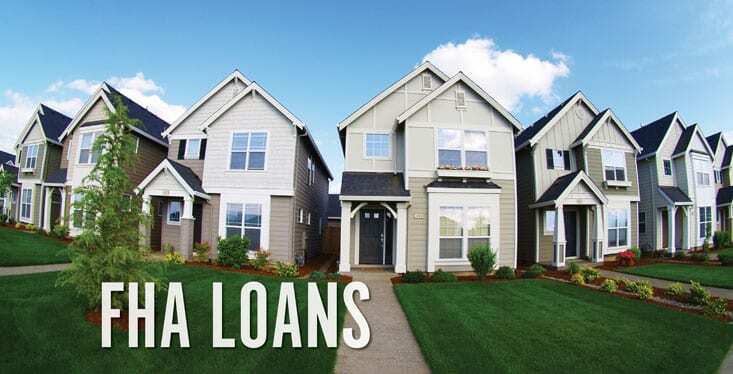 How do I apply for an FHA loans in Florida? You must have a SSN (Social Security Number). You must be of legal age to have a mortgage. Must not have any debts with the federal government. You must not have any bankruptcies, liens, or any accounts on which you have to pay to the bank an amount you failed to pay before. Any outstanding balance or delinquent accounts are unacceptable. You must have at least two credit accounts. An experience of at least two years of employment to ensure that you can work properly and hence, pay off the mortgage. When it comes to FHA, mortgage insurance is a must. You must purchase mortgage insurance. You need to have bought a property that you are going to use as your primary residence for a year. Apply within first 60 days of the purchase of the property. There are some minimum credit scores that you must meet. These are the requirements of the FHA and the lender. The FHA requires a FICO score of at least 500 for 10% down payment and 580 for 3.5% down payment. However, the lender’s requirements could be a little higher. The property you are going to buy must be FHA approved. You have to meet debt-to-income conditions. This is 43% maximum and in some cases, it extends to 50%. (Debt-to-income factor student loans as well). Now comes the part about how to actually apply for an FHA loans in Florida. To apply for an FHA loans in Florida, the first thing you will have to do is find an FHA-approved lender. The FHA-approved lender must be licensed to deal in your area/state. There are many online search tools to find an FHA-approved lender in your areas. You can just google it and find an online tool that works for you. Next, you will have to apply certain filters on the search tool to find lenders that operate in your state. After you have successfully found a list of lenders that lend in your state. You have to choose a single one that fulfills your needs. This is a tricky part as you will have to do extensive research about which lender suits you the best. Some of them will have higher requirements compared to others. According to HUD’s lender list search tool, I found about 1800 lenders in the state of Florida. That is a big list from which you have to choose a single one. To choose a single lender, firstly, you need to be sure about it. All loans are not the same. Every loan has a different interest rate, different down payment and different terms and conditions. This is because the lenders are actually third party lenders. Every lender has its own terms, conditions and requirements. Different prices are offered based on different customers. Customers’ credit rating and income are taken into consideration. After all cases considered and requirements fulfilled, the lenders calculate the rate at which they are going to mortgage. Their prices and fees are listed online for different cases and different criterions. A very important thing to consider when choosing a lender is that you must check if the lender’s eligibility criteria fulfills your requirements. Check which lender’s rates suit you the best. You should calculate your costs with different lenders just to see how much each differs and how the terms differ as well. Another very important thing to consider is pre-qualification. Pre-qualification means to give all your financial details including your credit score for a loan to your lender and then letting the lender giving you the quote about how much money they are willing to loan you based on the details you gave. It’s not a contract or a legal document but a simple letter that says how much money the lenders are willing to provide you with. This is often a great step because it helps you get higher up in the queue of purchasing a home or getting a loan. For example, if there are many offers for a house, yours is likely to get accepted earlier if you are prequalified. After considering all these things, the last thing you can do about choosing your lender is read real life reviews about the lender you are choosing which are available online. If the reviews are satisfactory, you can go ahead and contact the lender. Then the lender may start the process and you will have successfully applied after figuring out all the details with your lender.